UK bookmaker William Hill today cut its full-year profit expectations, blaming tougher regulations and higher taxes, and warned of more losses in the US as it steps up expansion. Shares in the company fell as much as 9% in London trade. European gambling companies have been looking to expand across the Atlantic as Britain introduces tighter regulations - particularly on lucrative fixed-odds betting terminals (FOBTs) - and as US states ease curbs on betting. "In three years time, we should clearly see the US being profitable," chief executive Philip Bowcock told Reuters, adding higher advertising costs for the company's mobile platform would hit earnings for two to three years. William Hill has earmarked about £120-130m for 2019 to fund its US expansion. However, the business there is expected to make a loss of up to £20m for the same period. The company is also preparing for a hit from the UK government's plan to cut the maximum stake on fixed-odds betting terminals to just £2 from £100 from October next year. The terminals allow players to bet on simulated events such as roulette, blackjack, bingo, and horse races, but have been criticised by social campaigners for being addictive. 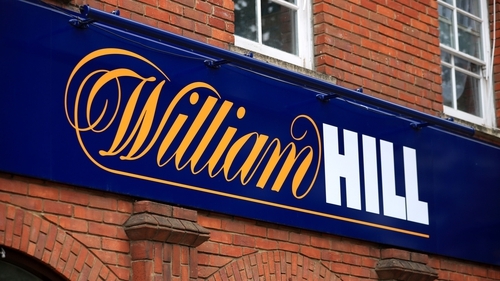 William Hill reiterated its expectation to shut about 900 UK shops, which could result in loss of about 4,500 jobs. The company said it would look to provide other gaming options, such as sports betting terminals, and added it was in talks with landlords to lower rents. William Hill was founded in 1934 as a postal and telephone betting service and operates in eight countries. It said it expected regulations and taxes would reduce profit at its online business by £20m this year. It forecast a total operating profit of £225-245m for 2018, down from £291.3m in 2017. Analysts had on average forecast a profit of £242.6m, according to a company-compiled consensus. He adding that he was aiming to at least double profits between 2018 and 2023.